Jerry Finn (Mar. 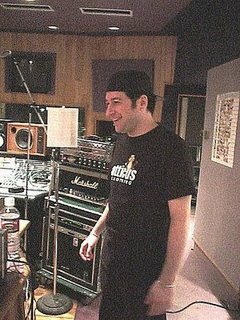 31, 1969 - Aug. 21, 2008) was a well-respected producer who lent his talents to a who’s who of alternative rock, artists like Blink-182, Green Day, Sum 41, AFI, Rancid, the Offspring, Morrissey, Alkaline Trio and many others. While working on a Morrissey release in July of 2008, Finn suffered a massive brain hemmorage. Never regaining consciousness, he was taken off life support on August 9 and passed away twelve days later. He was just 39. ↑ Jerry Finn - The Music's Over. The Music's Over. Retrieved from . This page was last modified on 4 November 2013, at 11:32.